Cognitive service is an emerging service paradigm in service-oriented computing. It can comprehend data in the same way as the human. Cognitive services require sufficient information to understand service scenarios. Actually, to achieve a goal sometimes requires multiple services with order dependencies and prerequisites to work collaboratively. When an exception event occurs during the service group working, the conventional approach is to restart or stop the service based on the exception type. If the environment information is changed much fast and retrieved unpractically, the exception event can cause the delayed response of the service group. If the goal of the service group is time-aware and service result is preferred, the regular policy is hard to match the requirement. 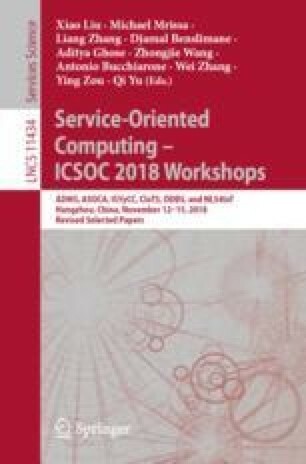 In this paper, we address the problem of delayed response caused by exception events raised from the distributing cognitive service group. A novel architecture is proposed to ensure the overall consistency and real-time reaction of distributing cognitive service group.